Handmade Finnish Survival/Bushcraft/Hunting Double Knife. This is a fine piece of handcraft made in Finnish Lapland in a traditional style. 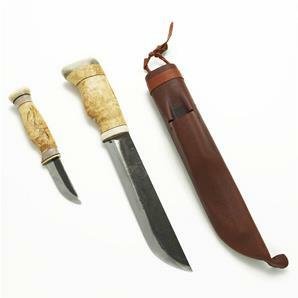 The sheath is made from wetformed half-tanned leather.